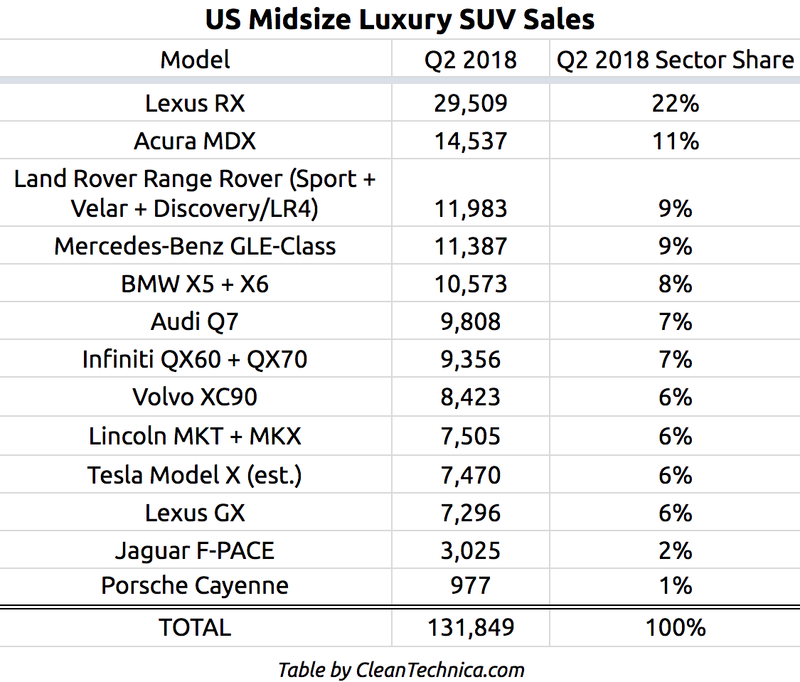 I’ve been planning to publish our second quarter (Q2) report on large luxury car sales and midsize luxury SUV sales in the US … for a long time. With Tesla’s Q3 sales figures expected tomorrow, it seems 11:00pm tonight is indeed the 11th hour, so here we are. As usual, note that Tesla sales are estimates. Tesla releases quarterly sales figures, but it doesn’t indicate where those vehicles went — USA, Netherlands, Australia, UAE, Maldives, etc. So, the Tesla US sales totals are estimates based on various figures and hints. As in previous quarters, the Tesla Model S dominates the large luxury car category. This is the category GoodCarBadCar puts the Model S in. When we create Model 3 sales reports, we do compare that Tesla option to small + midsize luxury cars (as well as all cars). 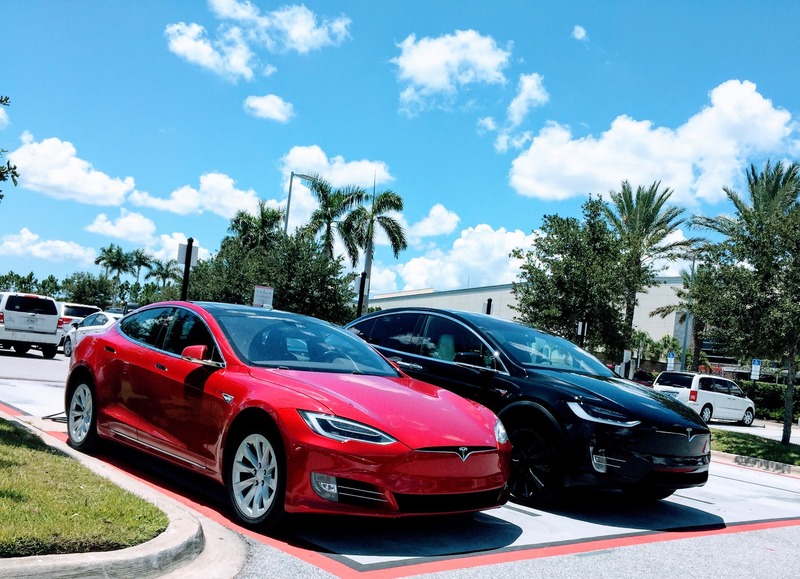 Together, the two Tesla models are thus compared against all luxury cars. 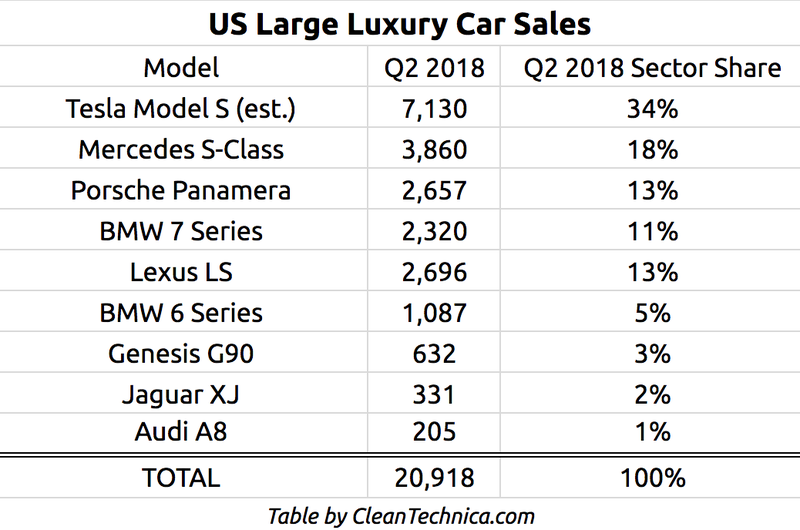 Just as in Q1, the Tesla Model S took 34% of the large luxury car market in Q2. The #2 Mercedes S-Class took 18% of the market, barely more than half of the Model S’s market share. 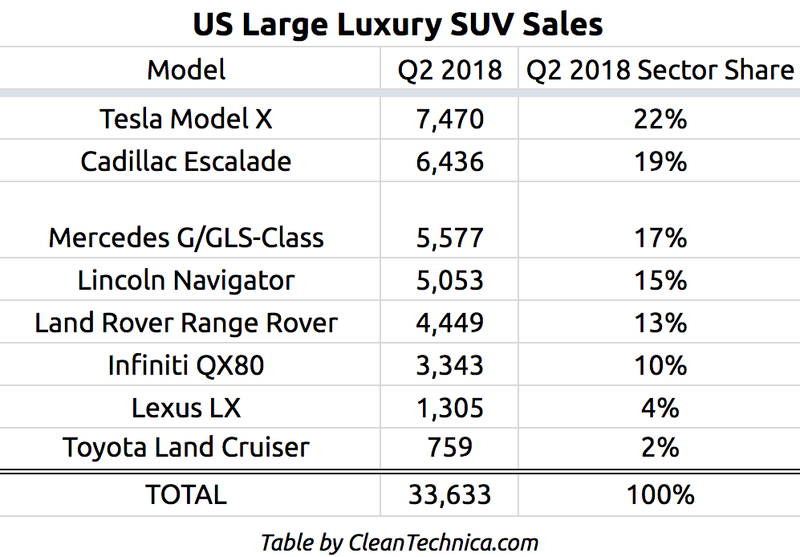 Looking at the Model X, which I’d say is unfairly put up against midsize SUVs by GoodCarBadCar, Tesla’s falcon-winged SUV does not dominate like the Model S. It held approximately 6% of the market in Q2. Of course, we all know the Model Y will crush this category plus the small SUV category when it comes along in a few years, right? If you do put the Model X up against the large SUVs that it is better compared to in terms of price, the SUV performs much better, actually taking the #1 spot. Overall, it looks like Tesla is doing exceptionally well in the categories where it is competing on price, as well as in some categories where its far more expensive than the competition. Not too shabby after just 6 years mass producing cars.